We’re passionate about interactive magazines and believe that they have the potential to be the next big thing in content marketing. We’ve already discussed their benefits in comparison to page-turning PDF’s, with interactive magazines offering brands the chance to make use of full screen images, pop up copy and a great range of digital elements including video and clickable links. Interactive magazines are a great way to connect content with commerce, too. With that in mind, we’ve scoured the web to find 11 examples of interactive magazines that combine stunning visuals with a truly rewarding user experience. Time Out have brilliantly harnessed the power of interactive magazines over the years. Their Eating and Drinking in Edinburgh issue is perhaps one of the most visually striking, with a table of contents that links users to pages on everything from the best breakfasts to a list of post-work bars and boozers. With the option to include pop-up copy and additional text boxes, interactive magazines are a great way to host a large amount of content without bombarding users with information that isn’t relevant to them. Time Out gives each reader the option to read more about the topics that strike their interest, with the handy text boxes also including the address and contact details of each bar and restaurant. We’ve already discussed how fashion brands can benefit from using interactive magazines. Perhaps the most important role that they play is by seamlessly connecting content with e-commerce – a trick that retail giant Net-A-Porter were quick to capitalise on. The Edit contains a wide range of features that include items sold on site. Click on products that interest you, and you’ll be instantly transported to Net-A-Porter’s shoppable product page. By giving readers the chance to click straight from magazines to retail sites, fashion brands are able to drive a high amount of clicks without the need for a middleman. E-commerce is the fastest growing retail market in Europe, and for an aspirational brand such as Net-A-Porter, making glossy magazine pages instantly shoppable has the potential to make a real impact on sales. 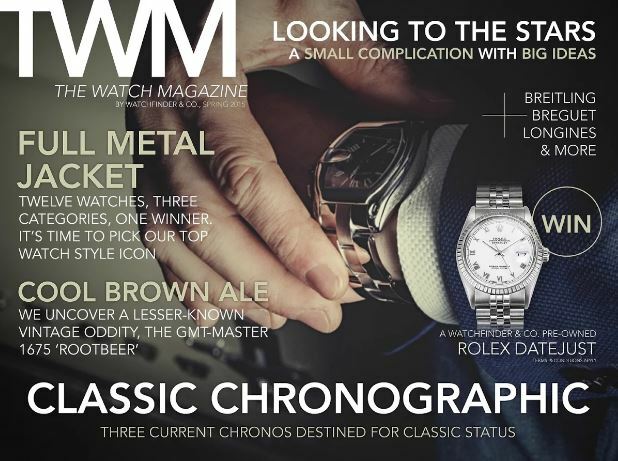 The Watch Magazine is as luxurious feeling as you’d expect, offering a wholly interactive experience. Users can find out where items are from by clicking on the + signs, discover more about product specification through maximising pop ups, or instantly share articles with friends by using the handy social icons. Unlike traditional, page-turning PDF magazines, interactive editorials allow for the seamless stimulation of social engagement, in turn introducing your brand to a wider audience without the need for paid advertising. What’s more, by hosting the magazine on your existing domain, you can make sure that every click via social media is a click that counts towards your website tracking metrics. The Watch Magazine makes the best use of both functions, by ensuring that links and share buttons are easily accessible on each and every page. The business sector can also benefit from the use of interactive magazines, as showcased by leadership events organiser Top Banana. Each page focuses on a different area of Top Banana’s business strategy, while the videos hosted within the magazine help to clearly demonstrate their company ethos. Unlike PDFs, interactive magazines are fully functioning web pages with the potential to be fully indexed by search engines. This style of keyword driven content boosts SEO and has the power to move your company up in the search rankings, driving a higher level of engagement from those interested in your services. The more visible your business is to potential clients, the more likely you are to close deals that are the right fit for you. Topman prove that going with a theme can work in their Denim Issue. The strong use of blue is not only representative of the topic, but also brings the whole edition together in a way that builds a strong visual identity. Users are able to click through to relevant product pages, as well as watch pop-up YouTube videos without being directed off site. For many brands, one of the most appealing aspects of interactive magazines is the ability to be free and creative with the design. Without the layout constraints commonly associated with traditional CMS platforms, interactive magazines make it possible to fully utilise content in a way that promotes a strong and consistent brand identity. For a fashion brand like Topman, appearance can mean everything, and sticking to branding that makes them instantly recognisable to consumers is one way that they can aim to drive more interest. The Slovenian Tourist Board are proof that the travel industry can also benefit from this style of digital content. Not only do interactive magazines allow for the use of spectacular imagery on the full screen, they also give users the opportunity to engage actively with content and find out more about the destinations that meet their interests. This all adds up to a user experience that feels more personalised and dynamic, something that 75% of consumers deem to be highly important. 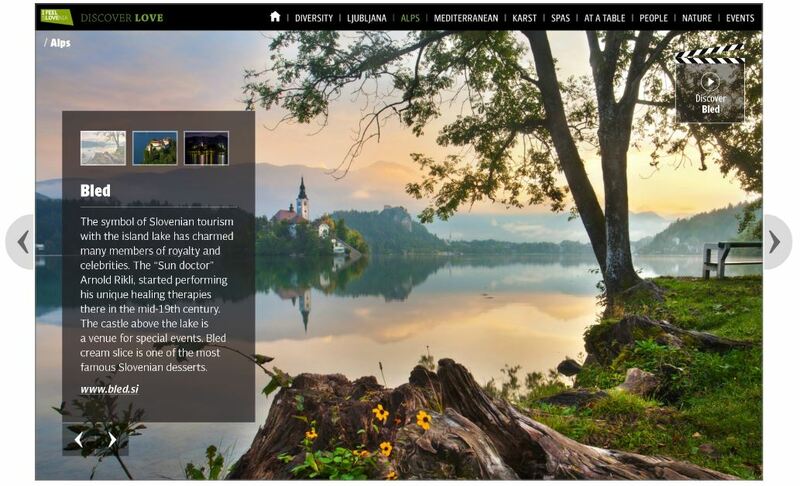 A Slovenian Love Story is packed with interactive image galleries, making the most of Slovenia’s whimsical setting to drive clicks directly to specific destination guides. For travel brands that are keen to promote the aspirational lifestyle that their destinations offer, being able to fully utilise the use of high resolution images has the potential to hugely benefit sales. UK travel retailer CruiseDeals.co.uk launched the first edition of their Sea Life Magazine earlier this year. Compiled of the latest cruise news, celebrity interviews and exclusive offers, the magazine aims to be a portable, visual extension of the brand. It gives users an insight into the deals and service that CruiseDeals.co.uk offer, while still managing to be an entertaining and engaging read. While interactive magazines offer a wide range of benefits to brands and businesses, it’s important to remember that many readers will open the issue in the hope of being both informed and entertained. Content is of the highest importance within an interactive magazine – it needs to be concise and to the point, while still managing to give readers all the information they need. In Sea Life, CruiseDeals.co.uk strike a balance that offers users high quality, informative content that is still engaging for readers that may not have an extensive knowledge of the industry. You wouldn’t expect an interactive magazine that showcases the work of one of history’s finest artists to be anything less than striking. The Van Gogh Museum’s online publication is vibrant and rich in colour, featuring plenty of details on events, tours and workshops. The copy also includes a high amount of internal links to other pages of the magazine, making it an engaging reader experience and encouraging users to remain on site for longer. Interactive magazines have the potential to offer users a complete package, hosting everything from lengthy articles to bitesize snippets all in one place. In fact, users recently gave scrollable content a 68% rating of importance in relation to digital magazine content. Building a rich network of internal links is a great way to reduce bounce rates, as the attention of the reader is consistently drawn from one page to the next. By including such a diverse range of content within their magazine, The Van Gogh Museum can afford to be creative when linking pages together. 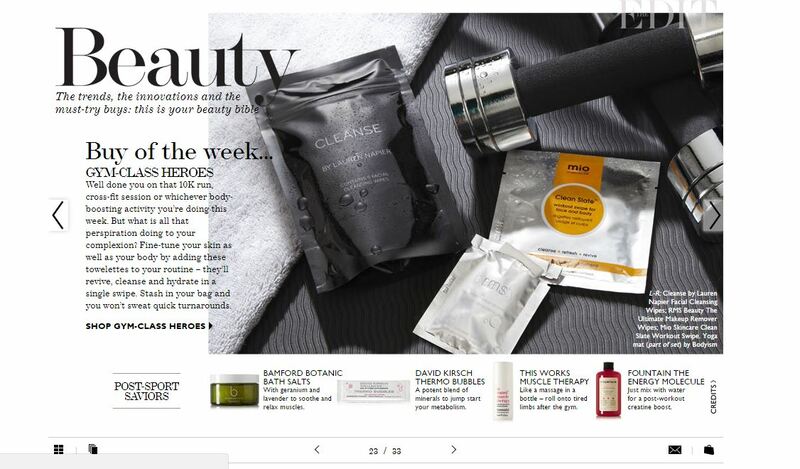 High street retailer Boots releases an interactive version of its Health and Beauty magazine every month, packed with articles that encourage readers to actively engage with its content. Interactive quizzes are a common feature, alongside image sliders and fillable content forms. This level of interactivity is a great way to keep readers on site for longer, which could in turn appeal to advertisers and sponsors that are willing to pay big money for a share in your engagement levels. What’s more, the brand have gone one step further with the placement of ‘add to basket’ buttons next to key products. Once you’ve finished reading, click the basket icon in the top right hand corner and head straight to the checkout without ever clicking off site. From a retail perspective, Boots have harnessed the power to turn initial consumer interest into sales. The Unlimited Mag provides users with an eclectic mix of art, music and lifestyle content in a digital magazine that is shrouded with interactive features. Make your way through the endless pages of visual content and click through to shop directly for featured items. There’s also the option of sharing particularly interesting articles across your social networking profiles, all at the click of a button. Like many interactive magazines, issues have a tendency to look best when viewed on iPads and tablets. One of the benefits of this type of media is their responsiveness and ability to seamlessly adapt to being shown across a range of devices. Readers of Unlimited Magazine are able to access the magazine on any mobile device, ensuring that content is readily available dependant on the individual preferences of the user. Shuffle is a local magazine for residents in the city of Alkmaar, Holland. There are handy icons dotted around each image that open to reveal pop-up text boxes. These are packed full of relevant information, such as snippets from interviews with local creatives. Interactive magazines are a great way to share your audience with key influencers. Interviews, reviews and guest articles from relevant sources can ensure that your content is visible to as large an audience as possible, giving content the potential to be distributed amongst their fanbase as well as yours. To discover how an interactive magazine could be of benefit to your business or for more information on how we can help you create one, contact us today.